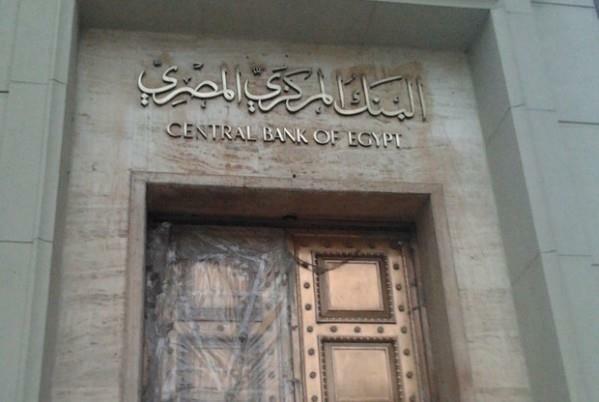 (MENAFN - Daily News Egypt) The Central Bank of Egypt (CBE) said that emerging markets (EMs) have slightly witnessed the recovery of capital inflows in January after a long period of absence since February 2018. It is expected for Egypt's GDP to continue recovering, supported by ongoing structural reform, despite the possible impacts of such procedures to control the state's general finances. Furthermore, the CBE's monetary policy committee decided to cut the CBE's key policy rates by 100 basis points (bps) in its meeting held on 14 February, and kept policy rates unchanged in its meeting held on 28 March. Economic growth of Egypt's external environment is estimated to have continued to soften for the second consecutive quarter during the fourth quarter (Q4) of 2018, registering 2.5% down from 2.7% in the previous quarter, and from 3.2% in Q4 of 2017, the highest pace since 2011. The CBE noted that headline inflation of Egypt's external environment declined slightly in Q4 of 2018 for the first time since Q1of 2018, registering 2.3%, compared to 2.5% in Q3 of 2018. The CBE attributed that to lower gross inflows and stronger gross outflows. The decline in gross inflows was due to a less favourable contribution from newly-issued capital and the oil and gas sector, which more than offset the more favourable contribution from non-residents' purchases of real estate and net purchases of companies and assets by non-residents. Available leading indicators for the non-hydrocarbon sector mostly point to weakening activity in Q4 of 2018. The Purchasing Managers' Index (PMI) weakened compared to its average level in Q3 of 2018. Meanwhile, Egyptian Eurobond yields declined somewhat in January 2019, in line with the improvement in the risk premium for EMs, after it has been increasing during most of 2018. Moreover, Egypt's CDS spreads remained relatively low compared to most peers with similar sovereign credit rating. Furthermore, Egypt's outlook was raised to positive in August 2018 by Moody's, while S & P upgraded Egypt's credit rating in May 2018. At the same time, real unit prices remained relatively stable in Q4 of 2018, after declining in select districts of Cairo's residential real estate sector during Q3 of 2018 for the first time since Q4 of 2016. 'This includes achieving the 9% (±3 percentage points) inflation target for Q4 of 2020-which was announced in December 2018-down from the 13% (±3 percentage points) inflation target for Q4 of 2018, announced in May 2017, which has been successfully achieved," declared the CBE. "Real GDP growth is expected to continue recovering, benefiting from continued structural reforms, despite being affected by potential fiscal consolidation measures,' it added. Meanwhile, international food price forecasts, relevant to Egypt's consumption basket, are expected to be stable during 2019 before increasing in 2020.